The Springfield Stars topped the Austin River Sharks, 10-5, in Continental League action at Kekambas Park. The player of the game was Springfield right fielder Clyde Yarbrough. Rien Middelkamp was the winner. Over 8 innings, he allowed 5 runs on 8 hits, with 1 walk and 6 strikeouts. The last-place River Sharks have lost 10 consecutive games. 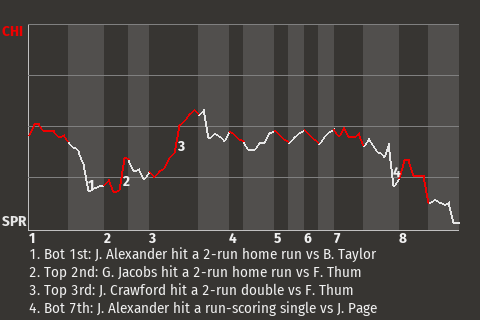 Yarbrough had a big at-bat with the bases loaded in the bottom of the eighth inning, when he hit a grand slam. The Stars went on to win. "The name of the game is scoring runs," Yarbrough said. "We did a good job of that today." Special Notes: 2B Travis Ezell was injured while running the bases.